"Michael Jackson, the famed beer writer, called Anchor Liberty Ale the first modern American ale". A great look at craft beer's roots. The better beer movement in the US is generally may occasionally struggle with the limits of it's David v. Goliath narrative, it's generally much better served than our friend across the pond. 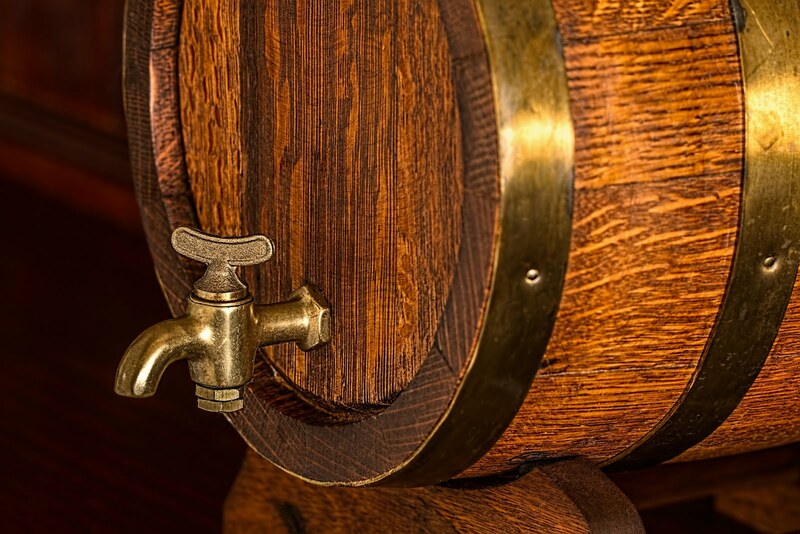 In the UK, the Campaign For Real Ale (CAMRA) started in the early 70's championing quality beer by preserving England's traditional cask serving style from overly cold, blend kegs of macro lager. The same Goliath as in America. Or maybe it's Goliath's dutch cousin. Regardless, the better beer narrative became one of tradition and preservation vs. innovations that sacrifice quality for economy. In some minds it reduced to old v. new. The oganization is struggling to coexist with the UK's vibrant Craft beer movement, with stylish cans, skinny jeans, and heaven forbid kegs. There is no effective analog in the UK for the brewer's association. Smaller, suqabbling beer groups will have a better time saving the traditional pub if they work together. I for one delight in pubs with a variety of casks, and craft kegs. 5-10 of each is heaven. CBC's solea style beer is one of America's most charming, barrel aged beer. Its history is a study in innovation. Brewer Will Meyers synthesized west coast wine making techniques, traditional lambic brewing to create something truly new, and completely fabulous. I've long enjoyed the beer on tap, and look forward to buying a few bottles. I love farm breweries. This list is missing two note worthy locals, Stone Cow and Throwback. It's a stretch to call one of the New England entries a farm, but it's definitely worth a trip. "The second crucial advantage to own premise, and perhaps ultimately the most important, is the control and insight it gives you over your entire cash flow, demand, and place in the market. There is simply no substitute for having this information so within reach. As we watch the declining sales and buyouts/closures of regional craft breweries who have suddenly become the most vulnerable sub-designation, one can’t help but realize the benefit of eschewing complicated distribution networks—in which your product, now far from home, will languish on the shelf, competing with dozens of other brands in the exact same position—in favor of a lemonade-stand-style business model where you can make choices regarding expansion, product development, and other sales questions with much of the guesswork eliminated." - Peter Bissel in a lengthy, thoughtful, and thorough analysis of his brewery business. Great news from scientists about a bacterial enzyme that can digest plastic containers. Including some of those bizarre half gallon plastic growler things I've seen in some tap rooms. Diversity and inclusion are key words in may conversations in 2018. It's great to see the brewer's association take clear steps to advance the trade. Some might say that the move is rent seeking, in an effort to get PR and quibble about small percentages. However there are real demographic gaps in the US which are detrimental in the near and long term of the industry. Gender - Misogynistic labels are falling out of fashion. The stylistic evolution of beer in general is becoming more welcoming. I love what the Pink Boots Society is doing to highlight women's creative and entrepreneurial contribution to brewing. Race - African American communities are under served, and under represented. My recent efforts to associate a beer with Marvel's Black Panther was eye opening on this front. I free associated Garret Oliver. That man is a great ambassador for beer period. Any additional qualification could be interpreted as diminishing his contributions. I also wanted to save Brooklyn for a character with roots in the borough. The truth is there are almost no black people brewing craft beer. A demographic with ~ 11 percent of the US population only consumes 3.2% of it's craft beer. Economic disparity is a factor for sure, but there are a lot of areas the BA could address to foster development for an under served market. I found a 2016 article about 5 Black Owned Breweries You Should Know About. That's about it.